Shamanic healing is one of the oldest healing practices, stretching back thousands of years and linking to indigenous cultures across the globe. 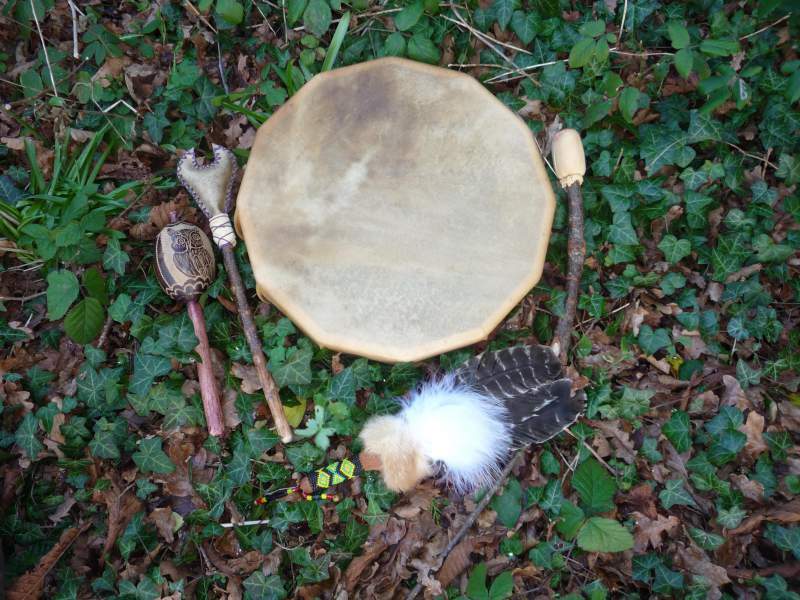 Shamanism is based upon our inherent connection with life and is rooted in the belief that everything has an energy or life force. It is akin to an ancient form of psychology, but rather than focusing upon the mind and numerous sessions on the couch talking things through, the shamanic process can often go much deeper resulting in a fuller, more profound healing, even with only just one session. Traditionally a shaman was an important part of tribal life, a medicine person, said to be able to communicate with spirits and “journey” to other realms with the help of their spirit allies. Modern day shamanism follows a similar pattern with properly trained Shamanic Practitioners working with nature, power animals and spirit helpers to seek advice and healing for the client. 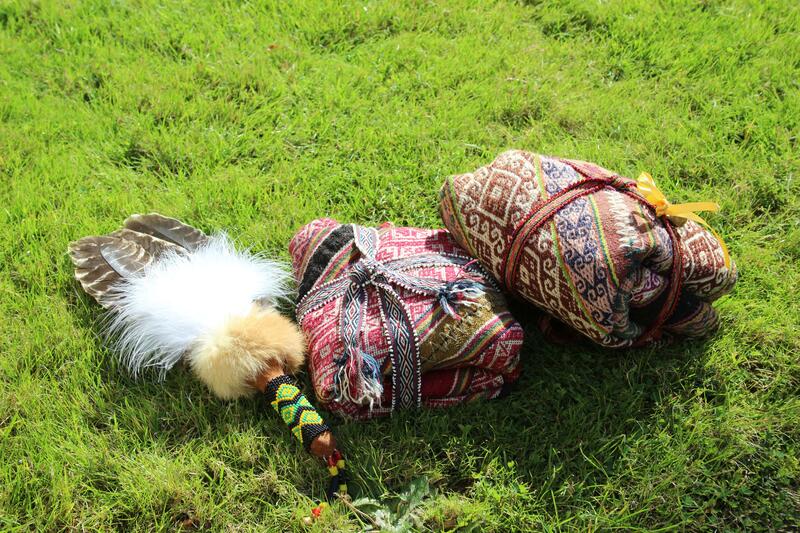 Shamanic Practitioners hold their healing sessions in a sacred and safe manner, creating a space for the client to understand themselves at a deeper level and, in doing so, be able understand any current negative issues, see their own true potential and release any blockages holding them back, whilst being fully supported and protected in the process. Great emotional shifts are common, as sometimes years (or even lifetimes) of “baggage” are surrendered and transmuted, allowing the client to grow and move forward, feeling more in balance and more themselves. This rebalancing can also have a positive effect on the physical body, as emotional well being is a cornerstone of physical health. The medicine wheel is a series of teachings that offer the student a roadmap and path to understand themselves, their interaction and place within life on this planet, and provides them with the tools necessary to work shamanically. There are a variety of medicine wheels across the globe, with each indigenous peoples practicing their own medicine wheel, based on their geography and specific traditions passed down from generation to generation. The medicine wheel Trevor has studied was based upon healing practices handed down by the Q’ero shamans of Peru, interwoven with teachings from other shamanic traditions, and has afforded him the privilege and honour of becoming a mesa (or medicine bundle) carrier. Trevor gives great thanks to his teacher Skie Hummingbird at Sungate for all her support, guidance and humour over the many years, as he walks this challenging but wonderfully fulfilling shamanic path. Illumination Healing – Shed light on a specific issue from a different perspective and remove any blockage involved. Soul Retrieval – Often parts of our soul get stuck, trapped or lost due to a trauma or significant event in our lives (or even past lives) and can lead to a feeling of incompleteness, sometimes many years after the event. The retrieval process brings back this lost part and reintegrates into the whole. Power Retrieval – Due to a variety of reasons we can sometimes go through stages in our life when we feel disheartened, weakened and even helpless. This state can be changed with a Shamanic Session and you can be helped to have your power restored. Past Life and Ancestral Healing – We have inherited DNA, characteristics and behaviours from our parents but our inheritance can go back much further. What else has been passed down along with our genes from our ancestors? Often there can be some emotions, feelings or traits hidden deeply away that are seemingly nothing to do with the lives we have led. Karmic and geographic influences can come through. These can be uncovered, recognised and, if necessary, healed. Cutting the Ties – Often when a relationship has ended there remains a tie to the other person, especially if it is not a completely mutually agreed split. This can trigger repeated emotions and feelings long after the relationship is over. Cutting the Ties is a process to finalise the split and allow both parties to move on freely. Contract Breaking – Sometimes, unbeknownst to us, our soul may have contracts with other souls that manifest as issues with people we meet and have relationships within this life. Breaking these contracts can help move us on and free us from cyclical and repeated negative behaviour patterns. Entity Extraction – Negative emotions and pains sometimes manifest if we are in negative situations for too long, in a low mood or poor state of mind. It is at such times that we may also “take on” or “pick up” unwanted energies from the ether or from other people, who themselves may also be in a negative frame of mind. These unwanted energies can be thought of shamanically as entities, as they are seemingly not a part of us and make us feel uneasy and not ourselves. Such entities can often be perceived as black masses or fogs within the personal energy field and can be removed through one or two sessions with a trained Shamanic Practitioner. Despacho Ceremonies – These can be used for different purposes from honouring Mother Earth, our ancestors, the elements or, in an individual healing context, to bring harmony, balance and positive action into our life in the form of a White Despacho, or to release negativity and those things that no longer serve us with a Black Despacho. Emotional and Physical Healing – There are strong connections between emotional wellbeing and physical health. The healing of one can often lead to an improvement in the other. The Shamanic process can help with both but please be aware that this is a complimentary therapy and does not replace professional medical advice and care. You should always follow the advice of your doctor and your trained professional healthcare providers. Ceremonies can be tailored to fit the group’s requirements but include; Fire ceremony, Full or New Moon ceremony, New Venture ceremony, New Home clearing/ceremony, Coming of age ceremony, Men’s groups, Women’s groups, Funeral and Psychopomp work (providing a sacred space for relatives and friends to say goodbye to loved ones in a non religious setting). The below is a light-hearted take on Shamanism from the internet (author unknown) which highlights the misconceptions about this ancient healing modality.